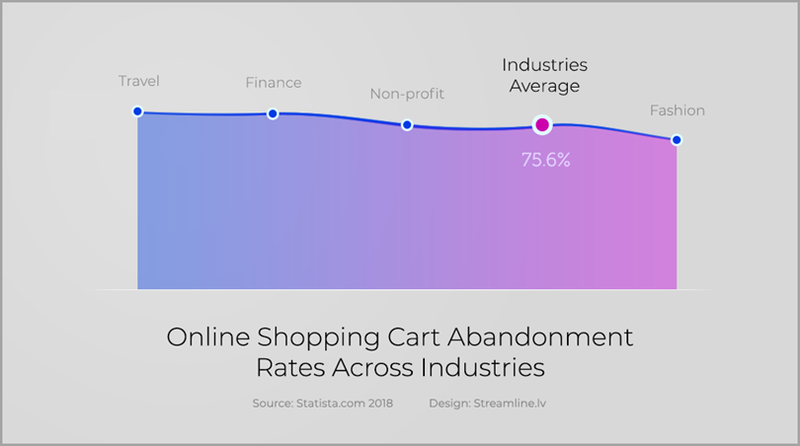 Did you know that on average 76% of all shopping carts are abandoned and 58% of those who have abandoned their carts would complete the purchase if they were offered a discount? 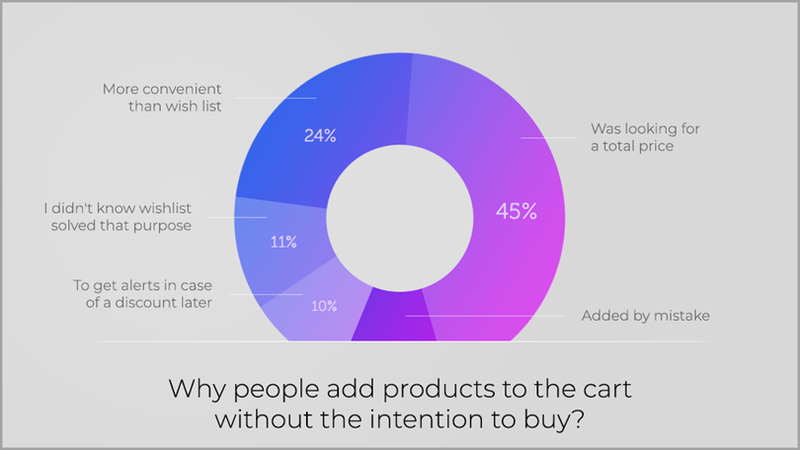 According to research conducted by VWO, there is huge potential for remarketing as more than a half respondents said they would be willing to complete the order if given a little motivation. In this article I am going to show you how to quickly boost your WooCommerce business sales by saving abandoned carts. It is easy to upgrade your WooCommerce with additional features using many free and premium plugins. And because of the good documentation WooCommerce has, it is also fairly simple to develop your own one. Easy setup. You can set up your eCommerce shop in literally less than an hour. Huge community. 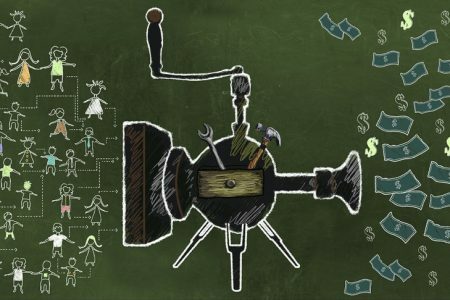 The more popular it gets, the bigger the community grows and with this the free plugins, tutorials, free themes etc. Constant development. The team behind it works relentlessly to improve the user experience (UX), security and functionality. Based on WordPress. Currently, 51% of all websites are run by WordPress meaning that if you are familiar with this Content Management System (CMS), you won’t have a hard time understanding WooCommerce. However, WooCommerce does not come prepacked with a function for saving abandoned carts and this is something you will have to set up manually (I will show you how to do that further below). I must admit that the toughest part for me was learning that there is such a term as “cart abandonment”. Years ago, when I made my first eCommerce store, I had no knowledge about this subject and the headaches it was causing. Cart abandonment is simply an action when a person adds one or multiple products to their shopping cart and decides to leave without completing the order. Doing research to see what the payment options are, shipping costs etc. Forced to create an account. An interesting study by VWO found that 35% of online shoppers add products to their cart without the intention to buy and simply use their shopping cart as a wish list. Minimize Cart Abandonment. 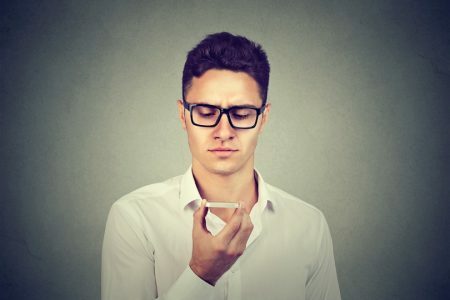 There are different website optimization techniques, you can read more on the ways to reduce cart abandonment here. Recover Abandoned Carts. We can collect Abandoned Carts and later try to recover them using email reminders. The first step to recovering Abandoned Carts is to capture them in your database. One of the best parts about working with WordPress is that with just a few clicks and the right plugin you can easily add new functionality. 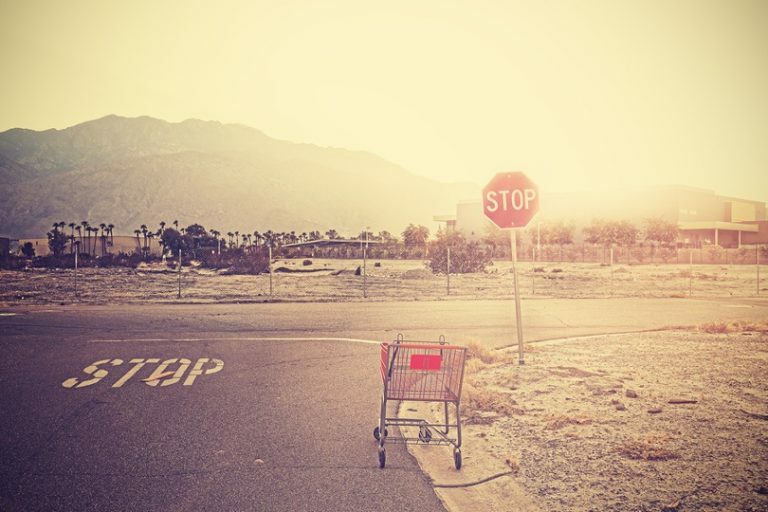 Download the Save Abandoned Carts plugin from the WordPress plugin repository. I am using this one since it is simple to set up and has the function to remember checkout form field input data for the user if the page is refreshed thus allowing you to reduce Cart Abandonment rate. But you can also choose another solution from the repository. Install and Activate it. Once activated, the plugin will automatically hook into your WooCommerce checkout process and will start saving Abandoned Carts. And that is all, no other configuration or set up is required. From now on you will be able to reach out to people and remind them about Abandoned Carts. 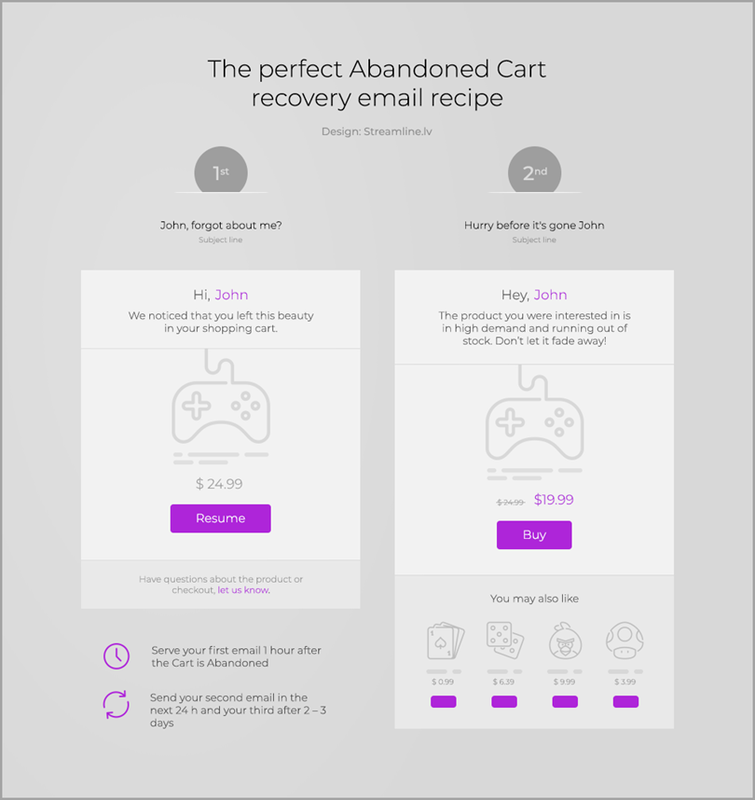 Later you might want to get the Save Abandoned Carts Pro version since it provides an automated Abandoned Cart recovery workflow with MailChimp. Now let’s look at how to compose successful recovery emails. 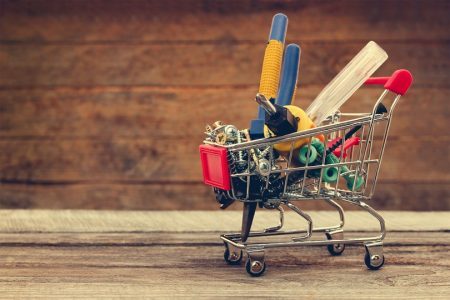 Now that we are collecting abandoned carts, let me show you how to boost your WooCommerce sales by recovering them. 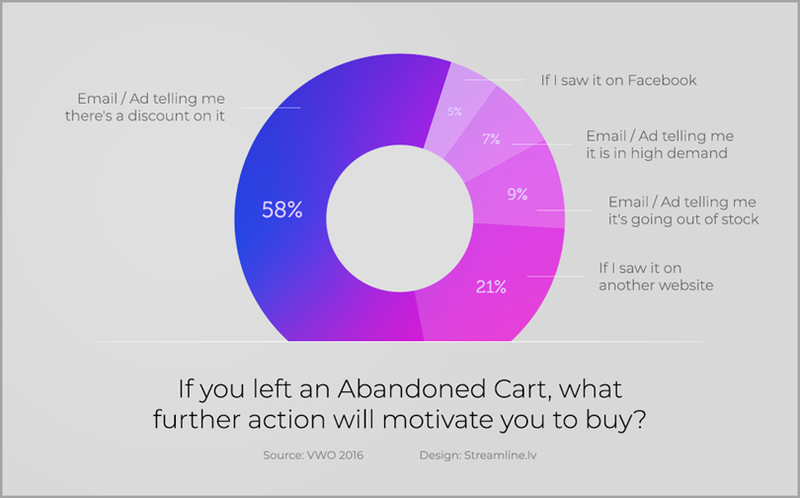 A study by VWO discovered that 58% of people who abandon their shopping carts can be persuaded to complete the purchase with a discount. This is an awesome finding that we can use in our recovery process. Here is the perfect recipe for a successful Abandoned Cart recovery email. Short and clear subject line. Tell your recipient what’s inside the email in 4-6 words – longer subject lines will get cut off by most email browsers. A clear message. Your message should be well structured (make use of product images, lists, line breaks etc.) and content written as if you would be saying this in your own words – I bet you wouldn’t want to receive a message from a robot, would you? One or more call to action buttons. Make the life of your readers easier by helping them see what to do next if they would like to resume shopping. Include an obvious call to action button close to the start of your message and one at the end of it (in case you have a longer email, you should include them also in between). Doing this will also help those who prefer scanning messages instead of reading them. A pinch of motivation. You should try including a small motivation for completing the purchase. In the chart above we learned that offering a small discount or free delivery is precisely what the user needed to complete the order. But I would not advise you to use discounts in your first email – the user might be entirely happy to buy it without one. However, I would recommend you offering this discount in your second email. 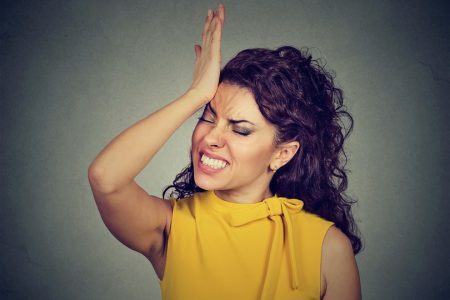 In case that fails – use your third email and notify that the product they wanted to purchase is currently in high demand and just a few of them remain (you could also use this in your second email – testing is the key here). A small extra motivation never hurt anybody. A touch of personality. Make your reader feel that the email they read has been hand tailored exactly for them – include their name at the beginning of the message. Products of your choice. If the first email goes rogue and does not give you the results you were hoping for, try adding some related products from the same category – if the abandoned product is no longer tempting, maybe something similar will be? The perfect timing. The best recovery results can be achieved when your first email is served one hour after the cart abandonment. It is not too early – the user most probably has left the shopping process and not too late – the idea of buying is still fresh and warm. The right frequency. You will increase the chance of success by sending multiple consecutive reminder emails. Send your second email in the next 24 hours after the first and your third 2-3 days after the second. Sometimes we just have too many things on our mind – a friendly reminder can be highly appreciated. Encourage feedback. Your visitors may come across questions or encounter issues during the checkout – provide them with an option to get in touch with you. Taste your dish. And by tasting, I mean testing. 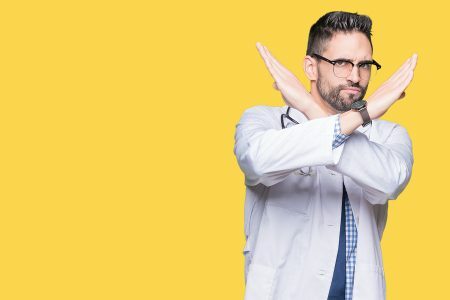 Even the most advanced marketing chefs follow the success ratio of their campaigns and always strive to become better and trump their own records by improving their techniques. Rest assured, online shopping cart abandonment is not going away any time soon. However, if you are aware of and understand the issue, you can boost your profits by both recovering your abandoned carts and reducing the abandonment rate. If you have any questions or would like to start a discussion, I will be very delighted to share my knowledge and make new friends in the comments below. Guest author: Nauris is a freelance designer/developer who loves to dig into the UX as much as in the ground for fishing worms. And fishing is just one amongst the long list of his active lifestyle hobbies. Always positive and happy to meet new friends and share his experience. You can reach him on LinkedIn or via his freelance website.